C.D. Numancia were defeated 1-0 at the Estadio de los Juegos Mediterráneos in Almería. 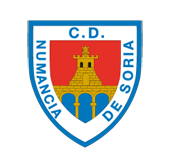 A penalty converted by Juan Carlos in the 22nd minute was enough to give the hosts all three points and deny Numancia the chance to return to Soria with something to show for their efforts. With Diamanka out -the forward had been playing despite having physical problems recently- and Escassi suspended after being sent off against Lugo last week, López Garai sent out a side featuring several good ball players with the aim of dominating possession and the game. Almería, for their part, have their own style and know how to play it. Their wide players are good in both one-on-one and two-on-two situations and make a lot of demands on their opponents. The Andalusians looked dangerous going down the left wing on several occasions and it was from there that their goal originated. Unai Medina was unable to close down the advancing Iván Martos and Pichu Atienza was obliged to intervene, but only succeeded in bringing him down. The referee did not hesitate to point to the spot. It was the 22nd minute, and Juan Carlos stepped up to beat his namesake in the Numancia goal to put the hosts into the lead. Now a goal down, the pattern did not change much. Numancia controlled play and dictated the pace, while Almería looked to generate chances by playing down the wings. Alain Oyarzun came close to equalising shortly after Almería’s goal, but René responded perfectly to keep out the Numantino’s well-executed free-kick. Two good moves down the right wing from the visitors, with Nacho being especially active in the first half, deserved more of a reward than they got. On both occasions, though, the Rojillos did not get the final ball quite right and the defence were able to recuperate the ball and the danger passed. Things continued this way until half time came, and after the break Numancia stepped up a gear. Almería were looking for a chance to score on the break and thus kill the game while Numancia were doing all they could to level the scores. Juan Carlos, on two occasions, made saves that kept the Rojillos in the game, but when Unai Medina got sent off in the 71st minute the visitors’ chances of rescuing even a point practically evaporated. A man down, and with the ball boys out of action on orders from the referee after several moments of going ‘absent’, the game became somewhat chaotic in the later stages. Neither side was able to take advantage of the situation, but it did work in favour of the ones who held the lead and who, eventually, would take the points from an ugly match, a strange one, in which Numancia never really settled down. U.D. Almería: René, Romera, C. De la Hoz, Juan Carlos (D. Rocha, m. 76) Luis Rioja (Aguza, m. 90), Juan, José Corpas, Álvaro G. (Demirovic, m. 70), Saveljich, Yan Eteki and Iván Martos. C.D. Numancia: Juan Carlos, Ganea (Guillermo, m. 75), David, Nacho, Derik, Alain (Viguera, m. 85), Medina, Atienza, Gus Ledes, M. Mateu (Yeboah, m. 62) and F. Villalba. Referee: Díaz de Mera (Castilla La Mancha Committee). Assisted by Santaúrsula Aguado and Porras Ayuso. Yellow cards for Juan Ibiza, Yan Eteki, Luis Rioja and Romera, Almería, and Alain Oyarzun, Atienza and Juan Carlos, Numancia. Direct red card for Unai Medina in the 71st minute. Goals: 1-0. Minute 22. Juan Carlos, penalty.